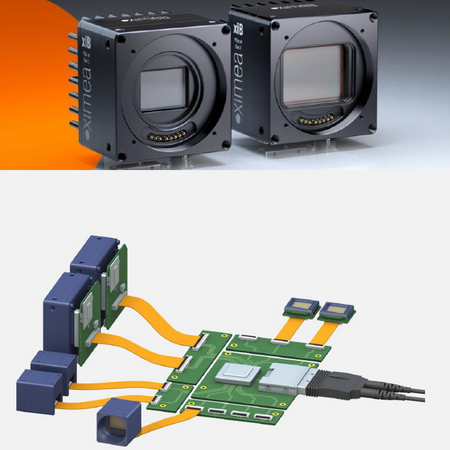 MRTech SK develops comprehensive solutions based on the NVIDIA embedded technologies, that perfectly adaptable for multi-camera, 3D Vision, airborne and other mobile applications. We offer our customers standard or specialized embedded graphical systems with NVIDIA Jetson supercomputer modules. Accessories: power supply 12V, 40W and Wi-Fi antenna. Wi-Fi antenna connectors are located on Jetson TX2 module. MRTech Image Flow processing software for building full image processing pipelines in machine vision systems including acquisition, color pre-processing, encoding, streaming, disk writing, etc. Robust real-time object tracking algorithms etc. Then, as XIMEA Technological Partners, we use their xPlatform technology in our cases. Besides of that, our image processing software is 100% compatible with that technologies.